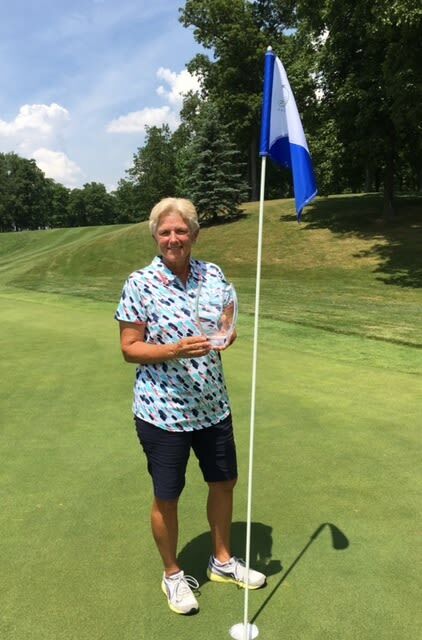 Sue Ertl, the head golf teaching professional at University Park Country Club, recently won the senior division title at the 2017 Ohio Women’s Open. Sue Ertl, the head golf teaching professional at University Park Country Club, recently won the senior division title at the 2017 Ohio Women’s Open. Her two-round combined score of 148 (73 and 75) also earned her an overall fifth-place finish. A former Ladies Professional Golf Association tour player, Ertl holds a career low score of 64 and 10 holes-in-one. She currently plays on the LPGA Legends tour and has been inducted into the Women’s Collegiate Golf Hall of Fame and Michigan State University Hall of Fame.